May 30, 2012 - A National Transportation Safety Board (NTSB) study found that in 2011, 10 of 102 experimental amateur-built (E-AB) aircraft accidents involving aircraft built by their owner crashed on their first flight. And of the 125 E-AB accidents involving an aircraft that was purchased used, 14 of the new owners crashed on their first flight. The study, which was launched last year, evaluated all E-AB accidents that occurred in 2011. The data show that powerplant failures and loss of control in flight are the most common accident occurrences by a large margin, highlighting the importance of pilots having the information and training necessary to safely operate their aircraft. As a result of the study, the NTSB made a total of 16 safety recommendations to the Federal Aviation Administration (FAA) and the Experimental Aircraft Association (EAA). "One of the most important findings of this study is the number of seasoned and experienced pilots getting into accidents so early in the life of structurally sound airplanes," said NTSB Chairman Deborah A.P. Hersman. "The recommendations we issue today can improve safety while encouraging the continued growth of this innovative and vibrant segment of the aviation community." The study drew on analysis of accident and activity data over the last decade, in-depth investigations of all 224 E-AB aircraft accidents during 2011 (54 of which were fatal), data from a broad EAA survey of more than 5000 E-AB aircraft owners and builders, and discussions with representatives from the EAA, FAA, E-AB aircraft builders and owners, kit manufacturers, and representatives of E-AB aircraft type clubs. E-AB aircraft represent a growing segment of the United States' general aviation fleet that is managed according to a different regulatory framework due to their experimental nature. The study identified a robust community of E-AB builders and owners, as well as industry associations, builder groups, aircraft type clubs, kit manufacturers and FAA guidance, which provide a wealth of training and guidance materials that promote thorough flight testing and encourage pilots to seek transition training. Accident case studies indicate that not all builders of E-AB aircraft perform a thorough flight test program or create a detailed flight manual during Phase I testing. The study found that risks to E-AB aircraft could be reduced by verifying that all E-AB aircraft are adequately tested according to a flight test plan, and that the resulting test data are used to create an accurate and complete aircraft flight manual. Further, a functional test of the aircraft fuel system could identify design deficiencies, leaks and malfunctions prior to flight. From 2001-2011, the accident rate of E-AB aircraft was more than twice as high as comparable GA aircraft in similar flight operations. During that period, the fatal accident rate was more than three times that of comparable GA aircraft. The NTSB undertook the study to identify opportunities for improvements to the E-AB safety record. - In comparison with similar non-E-AB aircraft, a much higher proportion of accidents involving E-AB aircraft occur early in the operational life of the aircraft. - E-AB aircraft account for a disproportionate number of total accidents and an even more disproportionate share of fatal accidents when compared with similar non-E-AB aircraft conducting similar flight operations. - Accident analyses indicate that powerplant failures and loss of control in flight are the most common E-AB aircraft accident occurrences by a large margin and that accident occurrences are similar for both new and used aircraft. - Structural failures have not been a common occurrence among E-AB aircraft. 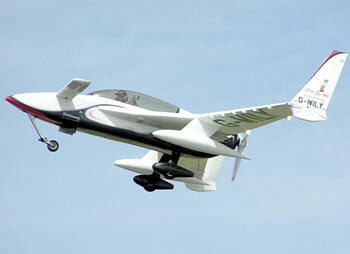 - The majority of E-AB aircraft are now built from commercial kits, rather than from purchased plans or original designs. - The E-AB aircraft safety record could be improved by providing pilots with additional resources to safely perform Phase I test pilot functions. The 16 safety recommendations to the FAA and EAA include the following: require that applicants for an E-AB airworthiness certificate submit for acceptance a detailed flight test plan to the FAA and develop an aircraft flight manual with emergency procedures; develop and offer incentives to encourage E-AB owners, builders and pilots to complete flight test training and transition training; develop and publish guidance for the issuance of a Letter of Deviation Authority to conduct flight instruction in experimental aircraft; provide guidance for the use of recorded flight test data for the purposes of flight testing and for the development of an aircraft flight manual; and complete development of E-AB transition training resources.